Back in 2014, after the release of Apple Watch from the company. Right after the release of this wearable, it became the trending and bestselling product of the year. Now it’s time for a new release of Apple Watch. If you are curious to know about the releasing date and all the specifications of this wearable, then read this article till the end to know everything about Apple Watch 2. According to latest predictions from Ming-Chi, the gadget would be available to the general public in the second half of this year. The release date month for Apple products is September. So, you can have Apple iPhone 7 and Watch 2 released together on 7 September. The more chances of the release are on 16 September. The processor used in the gadget would be faster than the predecessor version. There will be a 16nm processor of TSMC. Other specifications include the barometer which would be useful to measure atmosphere pressure. The watch would be waterproof and will have the high capacity battery. There would be inbuilt GPS support. All the revealed specifications pointing towards the fact that Apple is considering this device to be sporting wearable. All the functionalities will catch swimmers and climbers to use this one as their daily driver. In first leaked rumors, there was a rumor to support 4G by Apple Watch 2. But according to the experts, the support for 4G is not going to be introduced in this version of the watch. 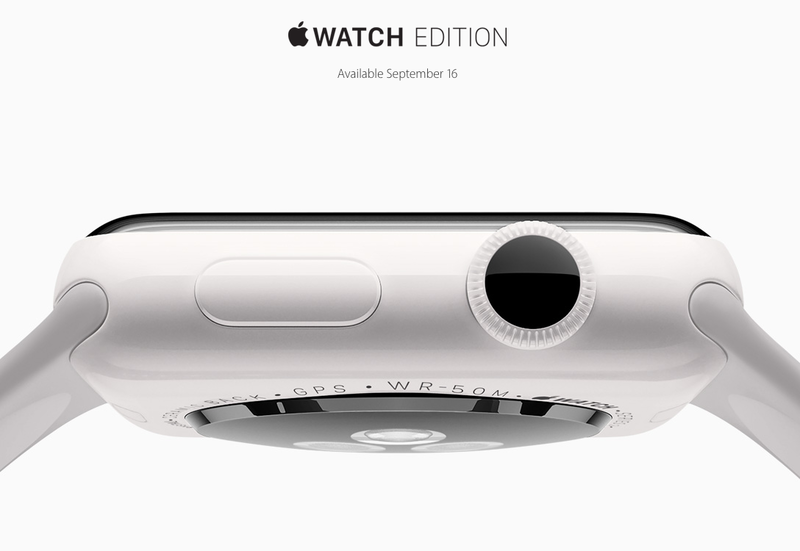 So, it means that your watch will be dependent on your iPhone. According to rumors, there would be a front facing camera for taking selfies. The wearable will come along with FaceTime camera for taking front facing pictures. The company has been granted a patent in which they asked for adding the front-facing camera in their watch along with sensors and storage software for pictures. The front facing camera will be embedded into the watch’s upper bezel. If you are looking to get a new Watch with something out of the box in terms of design. Then you will have to get disappointed. Because according to rumors, the watch design will be identically same as the previous version. All the design factors like size of the screen, the thickness of the watch and its form factor will be same or somehow identical to the previous version. The last but not the least thing which you should know about the latest upcoming wearable gadget from Apple is the price of Watch2. If you are Apple products lover, then you will be known to the fact that their old device prices reduce when they are launching new ones. So keeping this in mind, the new model will also come with the same price tag. The selling price of the watch is in between £299 to £399. By looking at the previous device prices, the new Apple Watch 2 will have the price of £479 to £500 for standard and the other variant.